As we begin 2019, for many startups the big question is – have they reached Product-Market fit or what should they do to reach Product-Market Fit. There are 3 important ingredients for making a product – the actual product, the people who build this product and the market for which the product is built. The point of getting the right intersection of the three with success gets you to product market fit. Marc Andreessen, whom I consider as the Father of Product Market fit, describes Market as the most important of the above 3, and Product Market fit is more likely to be achieved when you have a market – “In a great market – a market with lots of real potential customers – the market pulls product out of the startup”. So the most important thing in your journey is to identify what market you are addressing. Basically, it means customers – businesses or consumers – who are seeking a solution, a better solution or cheaper solution to a problem. The market definition has to be very clear and focused – as that would drive the product directions and help you get to the product – market fit. Why need? 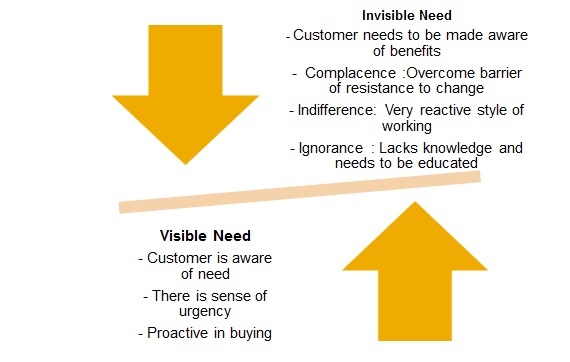 – why do the customers want to solve the particular problem – what’s the real need. Is the problem that you are solving is a painkiller, vitamin or vaccine? Why now? – is this the right time for the product – timing is very important as customers have many solutions and many problems, and they care to address only some problems that have higher priority for them to solve – so timing is an important element to understand if there is a market that exists. For any entrepreneur or product leader, there should be an obsessive focus to get to product market fit. The below is a Create > Prove > Iterate process that can help you to get to product market fit. Also, it’s not going to happen very fast, it needs perseverance and constant focus to move the needle – it’s a long-term journey. I wanted to lay out few examples, all Indian, on things that will help you validate your market hypothesis as well as give some references on some generic areas that have worked. I am picking three examples in software tech and two non-software to broaden the horizon of how we should think product-market fit. Clear Definition of Market and Problem Statement: Career360 – When I was doing some innovation projects to leverage big data a few years back on EduCareer, I bumped into this startup that I thought had a very clear differentiation of their market and huge potential in India which has a huge number of young students – seeking to know what, where, why and how they should study something in order for them to reach their dreams. The problem that they laid out to solve, is a huge one – as every student and parents of the student have this as their top priority – which validates the market need. – To ensure that every student makes an informed career choice. – To create an Information eco system suited for the 98% Indians than the 2% most meritorious one’s. As the market is clear and exists, once the focused founder is on a mission to build a product for this market (Student), they were naturally able to get there. Offcourse their journey has been with a lot of hard work, innovations – it’s been great to observe from what they have started out with to how they have really transformed their product and tools to address the market. With a high school going daughter, we have been personally benefitted by them, so are the millions of students/parents in India. The best part of their offering is that they are multi-platform – Careers360’s has been reaching out to students through multiple platforms viz. print, web, mobile and TV. So it’s a case of great omnichannel experience for the student through traditional and tech channels. Career360 is a clear example of how Marc A says “In a great market – a market with lots of real potential customers – the market pulls the product out of the startup”. Leverage similar idea to validate market: SeekSherpa – I met this startup in one of the Google Launchpad events, and I straightaway was blown away with the idea. I have been personally tracking the travel industry very closely and how tech is helping this further. In that Airbnb, story is amazing, as it really was a huge vaccine product to address a market that existed for the “tired of hotels”travellers. SeekSherpa was a great offshoot of Airbnb type idea – in the same industry but for a different product offering. SeekSherpa connect “real” local tour guides and Sherpa’s for the “tired of regular guides” travellers. So with the market validation, obviously the offering/product has to be compelling – and I saw their Lazor focus on great UX being a killer differentiator initially, and the ability to connect the local guides to travellers as a way to get to product-market fit. Its been a fantastic journey by Dhruv and Sukhmani who founders of this great startup, they have also addressed different channels that appeals to connect the traveller with the sherpa. And once again, the most important thing here is that the market existed, very well validated with a similar idea which makes it easy to explain, and it’s a problem better addressed by tech. Expanding product capabilities to reach market: Schoolpad – I met with this startup through iSpirit, and what really caught my attention was the way the founder Abhiraj Malhotra explained to me how he transformed his product features to make it a viable option for Schools to buy it. Schoolpad started off with a USP of improving the Parent – Teacher collaboration. Soon they realized that while this is a great capability, it cannot on its own sell. So they expanded the product to include the core School management features. So essentially it became a solid School ERP with the differentiator of the collaboration feature which was the original capability. This has helped them reach a great market – as Schools are now willing to embrace this solution. A great story of innovating and expanding the product to get to the market – and therefore reach product-market fit. Price point to reach market: Xiaomi Mi – Apple products are aspirational, but many cannot afford it or they don’t see the value. So customers are always looking for alternatives that are cheaper and provides near equal features. This is where a company like Xiaomi comes in, where they really penetrated into the mobile market with a great product at a very affordable price, as that then opens up a huge market. In order to do that, they had to initially sell through only online channels – Mi sold only through Flipkart initially. Also, they couldn’t spend a lot on marketing, so they leveraged the flash sale idea to promote their products. Over the years, as others started copying their model, they have now gone into the physical store – to sell through new channels. They also make a lot of the parts locally to get a cost advantage. Finally, now they are looking to penetrate rural markets as their phones are affordable. To read more on their story, look for their original china story and then the India story. So again here, the market is the winner – the market here is affordable smartphones, which was not addressed by Apple. Products do not have to be original, you can always build products to address market based on Price. In summary, getting to a product market fit is a journey, it may take time, but most important is to identify and get the market definition right, and channel your resources to build the product to address that market. Roadmap is a key part of a software product company, especially Enterprise Software (B2B) software. When you sell your software to a customer, it is not just on the current capabilities but lot of emphasis is made on the Roadmap. Especially with cloud based software this is becoming super important, as the innovation and capabilities come out incrementally, in frequent cycles. In my interaction with startup founders, one of the aspect they want to manage better is Reliable Product Roadmap – to ensure they do not over or under promise. In this post, I would like to share some key areas to focus for effectively create and communicate roadmaps that may have different flavors. Logically split Roadmap into the above two areas in order to communicate to right stakeholders. 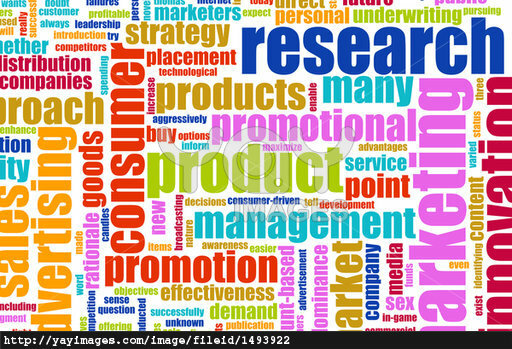 One part should cover the Product vision – or even a higher vision of the product segment or umbrella. This would be the driving factor based on which the customers should perceive the product, of how problems are solved today and into the future. As an example, Microsoft Office vision would be to improve productivity – and how they plan to leverage future technologies to improve productivity. The other part is around the Execution – more of delivery plan, more of product capabilities that are coming in, more of the details. A clear link should exists between the vision and execution – but it is important to have this as two parts. Another important distinction to cover in roadmap is what is going to be covered in the long term and what is planned in the near term (short and medium term). Depending on the product lifecycle – long term could be between 2-4 years while near term can range from 3 months to 2 years. The long term ones are still ideas that has been experimented through some proof of concepts or things that would take a longer term to realize or productize, but they are important innovations or things that are coming to get near to the vision. Near terms are the ones which are almost getting completed or is under development, with reasonable predictability of getting them out sooner. We live in ever changing world, where priorities keep changing. It is important to balance the roadmap priorities between being too rigid or too flexible. The roadmap often changes due to customer needs not being met, competitive action driving some changes, internal priorities and investments, lack of market for certain investment. On the other hand, if you keep the roadmap too dynamic and flexible, you will lose focus and probably trust from your stakeholders. It is very important to keep the roadmap and investments spread between certain areas where you can be a bit rigid, whereas keeping some open-ended areas for ability to change the plans. For this reason, it is critical to keep the future roadmap not covered in any legal or contractual commitments. Roadmap should consist of both incremental features as well as disruptive ones. Often we get into this innovators dilemma wherein the focus is on many minor incremental features that improves the product, satisfies the customer needs, solves the problem in a better way, bring better usability – so on and so forth. But in regular intervals – atleast once a year – its important to think about the next wave, the next big thing and start working in parallel to solve some new business problems, that could eventually eliminate a problem totally. Read my post on “what product are you making – pain killer, vitamin or vaccine” – once in a way you should experiment something disruptive, create and prove , and show what’s coming. Whatsapp is an amazing example of such a disruptive technology – in the past we have seen things like Google, ipad etc which are disruptive. Many smaller, less popular products have also been disruptive. In your roadmap, while it would be hard to communicate the disruptive ideas when they are in Labs, depending on its maturity, its best to prove some of the lab ideas with few handful of customers and validate them with real life use cases and scenarios. For such create /prove situations, a more restricted roadmap with NDAs are discussed with select customers. So use your roadmap to think and cover both incremental and disruptive solutions to problems. Product Roadmap is not a Project Plan. Many a times we come across some of the roadmap that looks like a project plan, listing out different activities and milestones. Instead of being a list of activities with milestones, roadmap should lay out the objectives of the product – the vision, the capabilities and the tentative timelines those are going to be made available. This is important because the activities may vary based on the approach taken to a solution but the objectives of the product may still be same. Another question that keeps coming back is whether a roadmap is solution bound or time bound. Roadmap is always time bound, as the user of the roadmap is looking to or planning based on the roadmap. The time need not be exactly accurate, but it needs to be indicative with an acceptable minor deviation. Usually indicating a period of short term, medium term and long term with a usual timeline fixed for each of them would be a good way to represent the roadmap. This helps customers plan better. Finally, while Roadmaps are drafted based on common vision and solution, Roadmaps have to be slightly different for external and internal stakeholders – especially with respect to the level of details presented, the timelines and the goals. For customers, Roadmap should address solution to the problem, with rough estimate of the time and the benefits that will bring by adopting them. For other external stakeholders such as investors or partners, it may go further into details of the market potential, and the ROI of investing in a certain set of roadmap items for the business. And for internal stakeholders it could go into more details on the strategy, more specific timelines, risks, competitive reasoning and few other internal only information may be laid out. Communicating the roadmap to different stakeholders is one of the key. Roadmaps should be clearly planned at an appropriate level of details with each of the stakeholders. 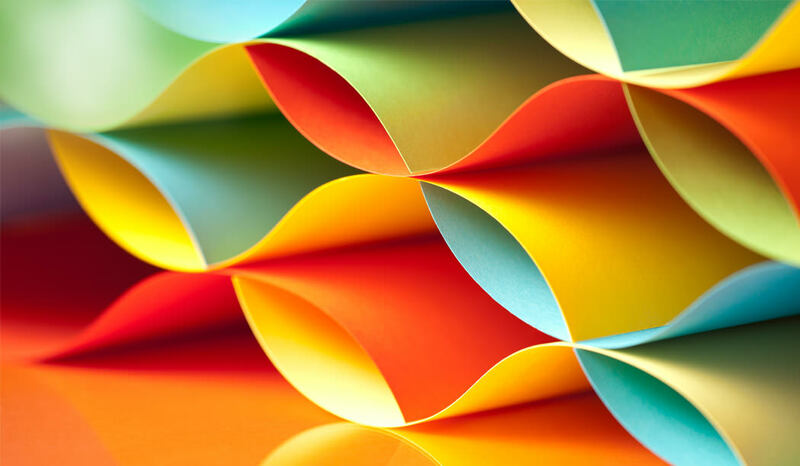 Product Roadmaps are living document and most important one for any product company. Lot of engaged time should be dedicated on documenting and communicating the roadmap. Wishing you all Happy New Year 2018 ! Wishing you all a very happy 2017, may you get the guts and courage to make the change this year. Mahendra Singh Dhoni, one of the most successful cricketers is certainly an inspiration for all of us – cricket fans and Indians. While he is a famous and winning captain, probably being a wicket keeper has helped him to shape up his instincts, strategy and execution. Being a product manager for few years now, I often relate to being a wicket keeper, who really wears multiple hats to help his team and win in the market. Often there is lack of clarity on the role of a Product Manager and why are they needed. In this post I would like to focus on drawing some parallels between Wicket keeper and Product Manager , especially differentiating the greats from good ones. Understanding the pitch is a key aspect to winning a cricket match – so is the understanding of the market to win with a product. Wicket keepers are great pitch readers, as they stay close to it always. So is the product manager, as understanding the market is a very significant success factor for products. If product managers can read the pitch (market) well, they can certainly guide the team very well to shape the right product that fits the market. One of the primary roles of product managers is to work very closely with development to shape and release the product. They are involved every ball, they need to be attentive to every detail, they need a great presence of mind, they need to keep motivating and appreciating every milestone. They also support the bowlers on field placements – read as key reviews of every aspect of the design of the product. They can give instant feedback and suggest changes, on the spot to ensure success. They also catch to take wickets – similar to some key contributions by product managers on prototyping and closing loop on the product. Wicket keepers stay alert with fielders and set an example in the field, as well as guide the field on what’s coming from the bowlers. Product managers similarly are one of the initial quality assurance /testers of the product, and guide the QA on how to ensure the quality of the product. Wicket keepers stay very close to the opponent batsman. They know whats their strength and weakness by closely following and watching them. This can certainly help share their insights to the bowlers. Similarly Product Managers have to stay very close to whats being done by competition, and how the products they build can surpass the competitor products, by understanding their strengths and weakness. Finally wicket keepers can also support with the bat. While they are not the strike batsman, they may be useful handy batsman as they know the pitch and the opponents, and in some situations could single handed win with their extra batting abilities (like a Dhoni or Gilchrist). Product Manager similarly can support Sales to win in the market. Product managers know all the details of the product, the market and the competition – so they can certainly help win in sales. While they are not the strike sales man, they can be an effective supporting person for the striker. Some Product Managers have a very high success rate of closing business when they are involved. There could be more parallels…but hope the above helped you understand the critical role of product manager, as critical as a wicket keeper in a cricket match, and some of the key ingredients and potential contribution they can make to your product. When we all started playing (read startup), we may not need a full time wicket keeper as someone wears that hat in rotation, but to make it big (beyond early stage startup) you probably need one. Great Product Managers move on to become Great Product Leaders and are winners….Adam Gilchrist or our MS Dhoni ! You have crossed the initial milestone of proving your product has seen some initial success, covered the MVP and now its time for growth…what is one key ingredient for growth ? The best solution for this problem is to put together a strategy for your product training. Based on interaction with a startup growth entrepreneur’s request I had put few things, and sharing that in this post. I plan to cover 3 levels of product training that I have personally learnt or done over the years to make products scale and be successful, the examples are more relevant to B2B but some of this can be used for B2C as well…. Why now ? – Assuming the need is established, and the fact that your product is the best fit, the next convincing part is the timing of the buy. The “why now” training should facilitate content that will help the trainee to engage with establishing the urgency, to get the decision to be made in a realistic time. Short demos – 2 to 3 minutes – This is the eye catcher demo (The Trailers), as its typically done to the decision makers, the demo should highlight the most important capability and it should also try to cover the overall value proposition of the solution. Remember this is the main tool that can help sales to create the initial interest or close the opportunity for approval. FAQs – you know answers to several questions, but its important that this knowledge gets out. A Frequently Asked Questions document or video should be a must have. This is to do with the actual product in more detail on how the users would use them. So this is essentially a training that is usually provided to Sales Consultants , Partners and Others who are likely interacting and engaging with the customer users – both during pre-sales as well as post sales. The third level of the training is for the people that engage administrators, implementer, partners and consultants. This covers variety of areas and really detailed and deep dive into the “how to aspects”. This is usually done to consultants , support staff and Business/IT administrators. This training is for mostly people who engage post sales, but essentially they should also have good understanding of the level 2 training, before getting here. So as you can see, if you can create the above training content and start training, it will certainly help you in your growth endeavors. Offcourse you will also have to keep updating these content as you enhance your product. Write up the Business Plan ! Most of us have read the famous story about Jeff Bezos’s cross country trip from New York to Seattle. Bezos founded Amazon.com in 1994, writing up the Amazon business plan on the way. Jeff’s important advise for startup company or any company is to write up the business plan. Now if Jeff Bezos has done it, and become one of the most successful entrepreneur in the internet era, why not just do it ? By writing it down, you will certainly get a lot of clarity and reference point for what you want to achieve…. What it is and some guidelines? Like an executive summary, this is the place you start jotting down the highlights of your road ahead – covering Introduction of yourself and the team, your idea, product space, history and market definition (presuming you have researched it), clear USP & value, challenges & risks, and overall KPIs that will come out of the rest of the business plan. The summary is most likely to change once you have written the rest of the plan. Who are the users, what are their current problems and how does your solution solve this problems. Define the market category and market size ie today, and in the future that you want to focus. Try to break down into 2 – 3 levels of hierarchy and in a multi dimensional way by Business type /Geography / Revenue potential of customer/Size of the customer or any other business context. Now on to the product – write up about the product, to cater to the above market opportunity, with lot of details and value propositions, differentiations and what problem it solves. When will your product be available , the minimum viable product and is there enough time to get the baby out ? How do you plan to monetize your product, don’t build a plan that ignores monetization. Revenue and Customer Goals – Quarterly, yearly and medium/long term goals, subscription revenue including projection of drop offs etc. Explain the technology used for the product, how it would scale, Ux differentiations, clear differentiations due to tech architecture, performance, simplicity, implementation effort. Important this is not technical architecture , so keep this high level. What the skills required to sustain the business – development, design, sales, customer support, channels marketing etc. Challenges & risks associated with this. Identify gap in availability of talent. Layout if its important for you to relocate to be successful, due to availability of talent. Place is super important for success – what are the options – what are the pros and cons. What is the strategy around customer support & feedback, how product roadmaps are affected by feedback. Level of engagement required initially and as the product matures. Past learning’s from customers, what went right and what went wrong. How was it addressed? You don’t have be finance person – its like putting forth your personal finances, or just google for templates – put together your estimate of people cost, server /cloud Operating costs, sales & marketing costs, other infrastructure cost – space/communication/support/software etc, any other expenses required to do scale the product. Link this with your monetization plan, to ascertain your overall profit or loss over the years. As you see above, there is a lot that can be written up – as you write up in detail, your thoughts on what you are setting forth gets clearer…. So now pack up and start off on your cross country trip from Mumbai to Bangalore, to write your Business Plan in Bezos style !!! There is heavy pressure in our industry for everyone to get on the train of entrepreneurship or startup, startup mode is on, Govt is supporting this, communities are on it, and now even banks are starting fund startup. This is all great news. But should everyone having a entrepreneurial spirit, become an Entrepreneur? Not necessarily. Many prefer to be, but different circumstances in career, money , family and culture make them not venture into that. So whats the option for them. Kamal , the startup guy – Entrepreneur : Kamal Hassan always tried like a startup guy, tried new things, ventured into unexplored territories, ahead of times, reinvested most of earnings in his movies, and his movies (product) appealed to a certain set of audience (market). Lot of his movies were commercial failures when they were made , but when you go back and watch them after several years, they are gems. He is like Jeff Bezos, not caring about short term, about profits, but only the long term impact his movies creates. Rajini, the commercial superstar – Intrepreneur : Rajinikanth on the other hand mostly went for the trusted entertainers, big banner , big investment movies, he built his unique differentiation with punch dialogues, style and tricks, and many movie themes were already successful themes elsewhere. He partnered with big cinema houses who would bank on him for delivering what the audience wants, a mass market. Most of his movies were commercial hits. 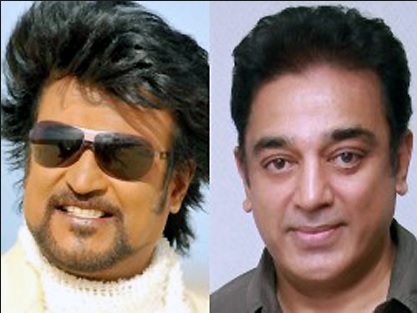 Having provided this analogy, I often can relate to each of us, with an entrepreneurial spirit, mostly falling into a bucket of Kamal Hassan or Rajinikanth – and we can learn from how these personalities carved their path to success for so many decades. While most of us have lot of understanding on the Entrepreneur part, I thought of spending more time in Intreprenuer journey. How do you identify them. Into the future : Intraprenuers are forward thinkers, thinking what’s next, not satisfied with what is today. They are someone the founders and leaders love to brainstorm and take guidance for investing. Don’t miss these great articles on Intreprenuers in Forbes and HBR from where I picked some of the attributes. Should experts be limited to an organization? I am a great fan of analogy, and one of the things I have been pondering for past year or so is comparing our software industry with that of medical and film industry. In this post, I plan to share some thoughts on how our software industry can consider the evolution of medical and film industry, and probably evolve in that direction. In Medical industry, the ecosystem contains Doctors, Surgeons, Physicians, Specialists, Hospitals, Clinics, Life Science companies, research labs and further other associated entities to serve the patients. In film industry, the ecosystem is made up of producers, directors, actors, cameraman, music director, editor, choreographer, stunt master,other specialized technicians. Similarly in our software industry, the ecosystem is made up of VCs, founders, techies, designers, product managers, and sales/marketing folks. One of the striking aspects of the whole evolution is the Specialization part, where medical industry has evolved and recognized the need for deep specialization, and doctors and the ecosystem surrounding have focused on specialization. While you still see some general physicians, we all know who are in more demand – the specialist. In the film industry, specialization has become very key. Whether you are a screen play writer of dramas, you are specializing in romantic comedies, you are an action director etc. Offcourse there are few folks who are versatile especially in acting, but every film needs a bunch of specialist. Similarly in our industry, specialization has taken off and it’s a great sign of the industry maturing. We see specialists in design, Ux vs backend techies, architects, B2B vs B2C product managers, industry experts such banking, government, healthcare who bridge industry knowledge with technology, we see further more big data, cloud, database, IoT, mobile etc experts. Should Specialist be limited to an organization or department? With the above background, the key thought I had for writing this post is how our industry can evolve to leverage the specialist expertise, to go beyond just one organization. In case of film industry, most of the people work independently and come together for a specific film. Over the period of time, many work together in multiple such film projects over several years. There are specialist and actors (not the main heros) who work on multiple projects. Its left to the potential, interest and capability of individual on how much he or she can leverage their time, how they want to pace their career, and how they really are on the toes to differentiate or find their winning formula, as individual or as a team. One of the nice talk you should watch to understand it is when our versatile actor Kamal Hassan spoke at NASSCHOM event, sharing some of the interesting aspects of film industry. The above 2 industry are a great example for us to consider as we evolve our industry. We have several experts and specialist out there in our industry, but their talents are often not leveraged to full potential for lack of the right setup – they are bound by their employment contracts, or merely don’t have avenues to share, engage, contribute and gain. Most of the folks in our industry land up into mundane jobs, standard career path, leading to becoming some people managers or stop reinventing ourselves. The boundary laid out for experts is not just being able to do with multiple projects outside, but even within the company many of the experts do not have an opportunity to showcase their potential as they are bound by their departments and hierarchies. Expert clubs that can bring together specialist by different areas of specialization e.g. by specific functional areas, deployment expertise, industry expertise, cultural expertise, skills – product management /design/architecture, GTM expertise etc. What are your views on this… can our software industry switch gears to enable experts to contribute more…and get awesome products that excel …working beyond organization boundaries like a doctor or cinema artiste ? 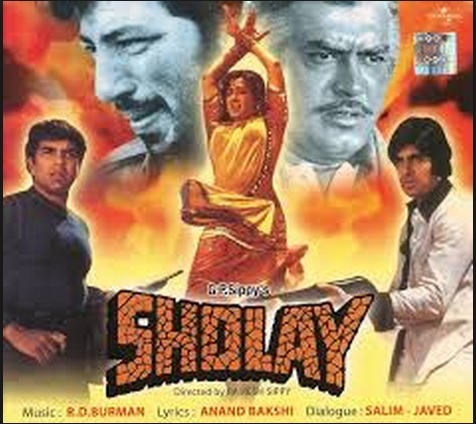 What you need to make a Sholay? I am a great fan of analogies and for software products that we make, I always try to get an analogy as we grow through the journey. In a recent post I had shared the medical analogy of classifying how software products can be classified as vitamin, pain killer or vaccines. One of the favorites for we Indians is cinemas, whether hindi or tamil or telugu, and here is another analogy I would like to share connecting the world of software products – with world of cinemas. We all set out to make a hit, a Sholay ! Place – First thing, choosing the place to make it is very important. In movies, the destination is Mumbai and most of the folks who aspire for film career move to Mumbai, and the next best destination is Chennai for south indian movies. Bollywood gains its name from its global cinema hub – Hollywood in California. 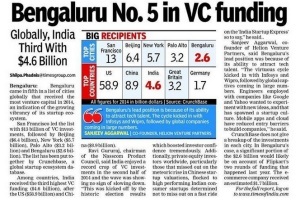 For software products, destination is Bangalore, where many across the country migrate for an aspiring career in software, considered as silicon valley of india. 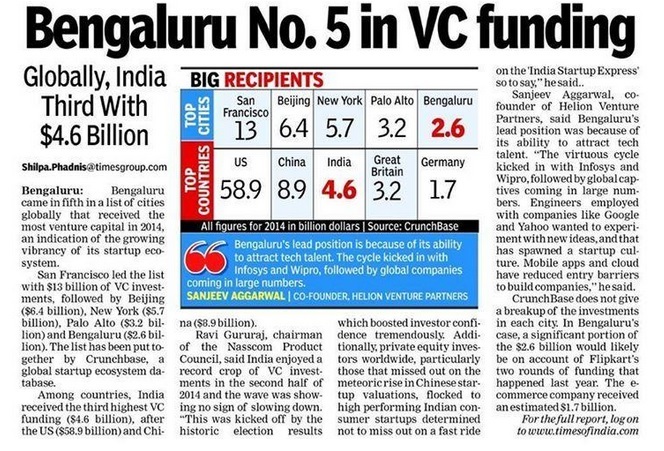 Especially with the software product startup momentum, Bangalore is certainly the place for the ecosystem. Other locations such as Hyderabad and Pune are the other smaller hubs catching up in this front. In the global context, its bay area or seatle in US, the land where amazing software products have been made or being made. Analogy gets interesting here, as there is always a belief that people with best coding skills can get out successful product. And it’s the same perception with movies where many think a Shah Rukh or Rajinikanth or other actors/actress are all about for the success of movies. But over the years, directors, screenplay writers, music directors, cameraman and many others who are behind the scenes have carved a name and gained significance for success of the movies. Actors – Developers: Whatever is visualized or conceived, comes to life only when actors actually perform the way it should come through. The actual delivery or execution is completely based on what/how these people (actors or developers) really do it. Some actors do it in one shot, some need more shots, understanding the full picture and working with other co-actors. Same is the case with developers who can understand the full picture and do their parts well. Cameraman – Designer: Camera men give shape to the movie that gives a visual appeal. This is a key ingredient and skill for success of the movie. Same is the case with Ux designers who really depict how the product should work and interact. Even the best of scripts and stories will not make an impact without a visual impact. Producer – Business Sponsor or Venture Capitalist : These are the guys who put the money. They determine how big or small the movie or product can be. They also reap the benefits of the business success of the movie or product. Production houses in cinema are equivalent of companies or venture capital firms. Editor – Quality Assurance : Movies are made to great lengths, probably for a 2 hours movie, there are many hours made of movie that gets produced. But this gets edited to capture the key parts, making sure the movie comes out in best quality to capture the story and screenplay. In product development context, quality assurance does a similar function of testing and providing suggestions to cut the irrelevant. Especially when different pieces of the product are integrated and tested, it exactly resembles editing. Media & Promotions – Product Marketer : Trailers, promos are very important in exciting movie buffs to get attracted to particular movie. Especially when there are several options and competing movies releasing around the same time, its important to do the right promotion focused on the right audience. Same is the case with products, while you may have the best products, if its not marketed well, you are bound to miss getting the attention. In the current world promotions needs to be across multi-channels. Screenplay – Architect: Screenplay is exactly what defines the “how” part of the movie and all the details. Few times this is done by the same person who directs the movie, but is different in most cases. Architect defines that in product development. He works on the how part to realize and lays out the path to realizing the same. Story & Director – Product Manager (or Project Manager): Director in movies is central orchestrator and often the guy who has the real vision of what he or she is making, works to get best out of different available talent and gets involved in every aspect of the movie. Product manager does this role in product development working with different stakeholders – and key person responsible for success or failure of the movie or product. In case of startups, typically founders dawn this role. Movie Critics – Analyst: When the movie is out, there are several critics who provide rating, comments and reviews about the movie. They are key influencers that bring audiences to theaters. Now with social media we see every one becoming a critic or reviewer. 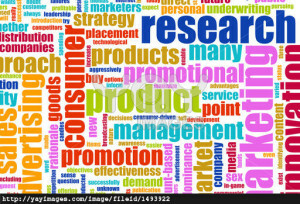 In case of products, there are several analyst out there who review and provide comments on the product. Movie Audience – Customer/Market: And ultimately the audience to the movie or the customer of the product consumes and provides their feedback, they are the voice to propagate it to wider (references in case of products). There are different types of audience and the tastes differ significantly based on demographic, motivation, interests etc. Also there are categories of markets for movies – A,B, C city audience whose tastes vary. There are movies that are made in keeping what audiences want and some other movies are made which audience may dream. 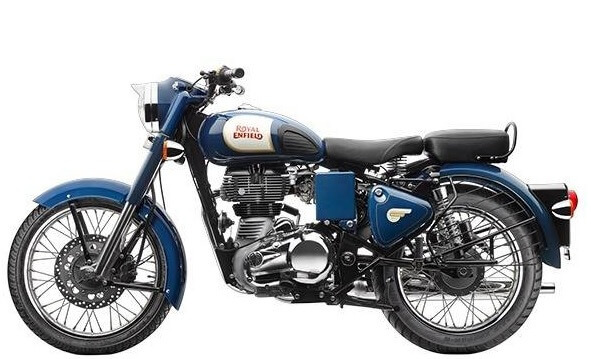 Products also go through the same evolution, some are made based on current customers’ needs and some are made for the future that customers get wowed, some works well in developed markets, some better in emerging. Each of the above persons may go onto do one of the other roles, or remain as experts in their area. 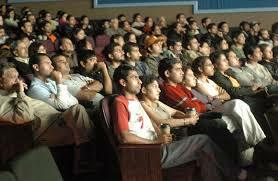 The people associated to a movie or products are emotionally attached to it forever. Usually startups have founders and few people doing multiple roles in the beginning. Finally the product – the movie is the output. It can be a huge success or failure. It can appeal to some audience and may not appeal to others. There are few that appeal to everyone. Some become classics, some are short term flicks, some stay for eternity as best sellers. Same is for products. Sequel – An interesting point about the market is like in movies where we have seen sequels of successful movies remade with a new flavor, we see the same with software products where hit products get remade with a different theme. And always the original ideas or themes has always a value, but sequels also have good market. Are your ready in the right Place, with right people and to make that thumping hit product for right market ? Thing Big, Think of Making a Sholay !!! Is your product vitamin, pain killer or vaccine? Picking the medical analogy, the one way of classifying where your product fits in would be when you answer if your product is a vitamin, pain killer or vaccine – and how you innovate around them. The must haves are the pain killers, you can’t survive without drugs that cures fever or other painful diseases. In software products area, an equivalent is the automation software that will help you bill your customers, keep your accounts, communicate through emails, build professional or personal network etc. These are very basic, been there for a while and there is always market for these products. But the challenge with these products is that you are not the first one building it and you have tons of competitive products. A funny example I came across when a team mentioned they are building a product for traffic problem that exists in Bangalore, but the how part was not convincing enough to believe it can solve the problem. While the problem is clearly understood, and is a pain, the pain killer solution is key. Often referred as commodity market, the only success factor here is “how” you solve the problems in a different way, leveraging latest technologies such as mobile, cloud or internet of things. Value of such products, in order to be successful, needs significant go-to-market investment. Nevertheless, if you have found the right product – market fit, there is still scope for this as everyone needs these products, as there is no question “why you need these products”, as long as you can differentiate and sell. The nice to haves are vitamins, we all know that. You will agree that to sell vitamins, you really need to first establish “why you need that product”. We do see the benefits, but we can live without it. Analytics and big data products are good examples of vitamins analogy. It would certainly help for your data driven decision making, but you need to convince someone a lot as he or she is already getting the insights in different forms, maybe through a good team that he or she has. But like how we get addicted to some vitamins, you can tend to get addicted to software products that can help businesses or life better. Also over a period of time, vitamins become pain killers as we can’t live without them. A good example for me is Google or Mobile phones or ipads. We have lived without google or mobile phones few years back, but they are no more an option. Ipads is still a vitamin, but still sells very well. Vitamins need a different kind of expertise in your sales and go to market organization. You need experts to sell these solutions. They really need to uncover the invisible need that the buyer would have and offcourse your product needs to fulfill their aspirations by educating them. Vitamins can be sold at a very premium price if we can convince the customers. As you build products that fall in the vitamin category, it would be great to see the end vision of these products, and if they can eventually create a new category that can get into a pain killer or vaccine. They are preventive; they address solutions to problems that exist today or likely to arise in the future. They are must haves, but they get into territory of unsolved problems, so if you have a solution that solves an unsolved problem or even prevents the problem to occur, they would fall into this category. Vaccines type products are real innovations – as they are needed and they can help businesses or improve life. Business networks are a great example of vaccines, as they remove the hurdles of problems such as intercompany reconciliation or payments by cheques. Knowing your customer is great problem that exists and you want to sell the right product/services, at the right time and at right price based on what customers are seeking. If you understand the customer better, it’s a no brainer that your revenue is going to increase. Next generation customer engagement solutions are a good bet, which personally can fall into the vaccine bucket. I was super impressed by the Health care cloud mobile products developed by Lifeplot, and many of their products certainly fall into the vaccine category as they can prevent diseases at an affordable cost. While vaccines are game changers, they also need certain degree of convincing to sell, as the problem is not obvious to many. One example for me in software products is digital commerce such as web and mobile. There is a huge opportunity to tap into selling in these channels and having products to support them. But it still needs to convince the buyers, as certain level of education is required for this. So where does your product fit in – is it a pain killer, vitamin or vaccine ? As we build (software) products, the competition is something that we need to stay ahead of, but how? Especially building products for different markets, you always have others building similar products for probably same or different markets. There are already established products that you have to compete with, there are other products that are getting built as you build your product, there are new technologies that throw up new opportunities or challenges that will help new products to build that could surpass yours. How it’s different from services ? 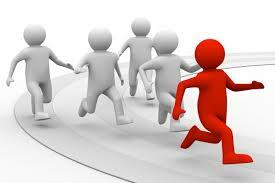 In services business, you just have a few competitors that you are competing for “a customer”. You know what this one customer is looking for and its often not very difficult to create a competitive strategy. But in case of products, it’s a huge challenge to identify first of all who could be your competitor and if you are lucky to identify all of them, how your products stand out in the market, not just a customer. As software product leaders or product managers, one of the key activities that we need to be focusing on is Competitive Research. This cannot be optional and has to be mandatory task with clear deliverables. If you are lucky, especially working with larger enterprises, there are focused research colleagues who track and share insights about competition. 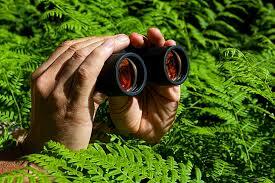 If not there are external agencies that you can engage who can research a bit and share insights about competition. But personally I feel that as the product owners, its best for product leaders or product managers to be closely doing their own research as the expertise that you carry or the interest to get your products successful lies with you. Competitors website – Thanks to internet, there is already enormous information available about the competition, especially if you are looking at existing established products. Checking the websites of the competition helps a bit, taking at their value proposition and what customers are talking about the products are very important. Analyst – IT industry analyst are a great source of information to understand competitors and their strengths and weakness. Its always better to understand different perspectives of the industry analyst. Your product may still not be in the overall review in the space, but you may want to analyze the market potential through whats being said about the analyst reports. Involving in sales cycles – One of the best way, especially if your product is already out, is to involve in sales cycles. Talking to sales /presales as well as customers. You definitely get insights on how your competitor products is addressing the problems. This can also be done by listening to sales calls as well as just being part of some of the meetings or conference calls. Sometimes customers give you direct feedback on how your products fare and at other times you may get indirect inferences. Participating and contributing in some of the win loss analysis can help take back some of this information. Having done the research, what do we do with this information to use this effectively as you build your products. While you can have a structure way to incorporate this information into your knowledge base, the important aspect of sharing and communicating this information. Often I have noticed that we share one set of information for different stakeholders, which may be not a good approach. 1. Sharing with Sales and Field : Sales organization in your company would like to know exactly how your products are better from your competitors products. What is the key value propositions and some differentiations. This could be addressed at different levels, at the overall product strategy level, on product feature /functionality and the fit with respect to solving key business problem in a better way, and based on customer usage. How competitive fud can be resolved with a capability that exists or likely to addressed in the road map. 2. Sharing with Development : Product Development including product managers are very emotional and close to their products and its often difficult for them to digest to hear that the competitive products are better than your products. But here the communication and comparisons should focus on where the products are weaker then competition, don’t have to be highlighting the strengths but focus on where differentiations can be fulfilled, or how products can catch up with competition. Even an equally good product could be very successful due to other considerations such as price, market and geography focus, as well as mere ability of sales people. So its important to compare and highlight lagging product areas, and get to focus on competitive catch ups or differentiations. Some of the information collected from Analyst could be very useful as it could lead to good insights of competitive products. All of this information also helps in prioritizing backlogs. 3. Sharing with Top Management: Assuming you are not the founder, its important that competitive insights are regularly shared with top management in order for them to get a feel of specifics that competitors are doing in this area. This will help getting the attention for investment into those areas, potential acquisitions as well as help them engage better in their customer/investor interactions. Competitive Research and Sharing is a key activity that needs good time investment to stay ahead in the race as make Software Products. One of the pressures and challenges of working on products is to get it out soon – the release. 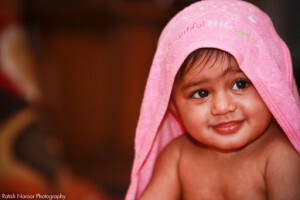 But I often recollect one of the leaders that I have worked with saying “need 9 months to get baby out”. What’s the right time for a product release – Some Considerations? Remember products are not built for one customer, its built for several of them, for a market. I highlight this as especially in India, we have abundant services companies and people with great experience driving innovations and solutions for one customer, and often the release time for such delivery can be done in a shorter duration as we are working towards a specific requirement set. Its different to build it for a market or many customers in mind. The other key aspect of building a product is to spend good time on researching the market, understanding user problems and figuring out what to build, before start building it. In certain cases it could also be some initial prototypes to get the thinking process going. Often this time is ignored when building products. By getting more people assigned is not the solution to get the products out faster, actually it could be counter productive as there may not be enough components that can be built parallel and also could result in confusion on co-ordination. 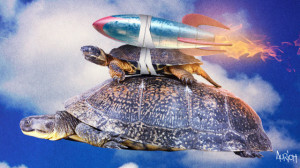 Many software products fail primarily because they put all the time and effort only in engineering and developing the product and do not plan for an effective early adoption and go to market (including pricing) launch time planning. They consider this as lesser important task and often consider this as a post product release activity. But the market readiness and go to market should be planned well ahead, and enough time to be allocated to early adoption and launch cycle. The other aspect that gets ignored many a times is user empathy and design for user interaction and interface. Bugs are fine in software, can be fixed is the typical attitude in software industry. But depending on the mission critical nature of the products, quality is going to be key criteria. Thorough testing and quality is an important part and while dates can be compromised, quality should not be compromised as the word spreads if its buggy. Get it out with good quality. Many products compromise on features and differentiators, to deliver a product in time. This again can be dangerous in the current extremely competitive world. So usually the right time of the release should have key focus on quality and differentiators. We come across examples of products that get released to market without alpha, beta cycles – without being taken to first few customers or users to try out. This can be dangerous, inspite of the time pressures or the brutal confidence that you may have about your products and self testing, there should be time allocated for alpha and beta trials. The other side consideration here is that while products have to be planned, it can’t take too long as well. Many of the established players get into this syndrome where they spend too much time planning and laying it out but by the time the product comes out, the market is lost or captured by some one else. This is where agile methodology comes in handy. Products should be planned in such a way that there is minimum viable scope covered coming in from the research and there is agility built into cover a rapid release cycle post the first launch, where more enhancements can be planned, based on customer adoption. Keeping with the world cup fever, where No.10 is center of everything for success, thought of writing this post on success of product managers, who are the No.10 for success of products. Here in plan to share 10 tips for successful product management. This is based on my dozen years’ experiences in the function, working in Ramco, Hyperion and SAP, rolling out both successful and not so successful products, primarily enterprise software products. 1. Network to thrive: product managers most important tip is to be really networked, this needs to be in person in 1×1 and 1xN interactions, through social media and web and with internal team for key influencing, especially if you are in a bigger organization. 4. Know your competitors: product managers need deep understanding of competitors through publically available…Analyst Reports, websites, interacting with sales/presales, Win stories, loss analysis participation. Important tip is to contribute to competitive differentiation. Both feature/function as well as more strategic levels. Have different comparison charts, ones for your field/sales that will help to highlight how products are better than competitor’s products to sell and for development that highlights weaknesses that will help better the product or build new ones. 5. Know your markets: product managers do not make products for specific customers, but for markets. So it’s important to understand which markets that you are focusing and understand the dynamics of those markets. Understand Developed and Emerging market dynamics. Understand Nuances of each market, cultural aspects e.g. US: Keep it simple and bit high level, Europe : Get to the details. Style of business function e.g. whether in general the focus market is more result oriented or more believers in process oriented style. 6. Negotiate: Product managers spend most of their time negotiating, so acquiring some tips to better negotiate is very important. 7. Senior management buy in : connected to the negotiation, but more important is the ability of product managers to negotiate and influence their management. Managing different point of view – as management may have a broader understanding so you need to think and be prepared to tackle those povs. Find all avenues to share your knowledge on product, best practices and the “whys?” more than what? Or how? If you are product manager or one aspiring to be, the above tips should be very handy. While you may or we all have come across, consciously following this may help, as i have found it to be useful as i practice it in my past years of experience as product manager. 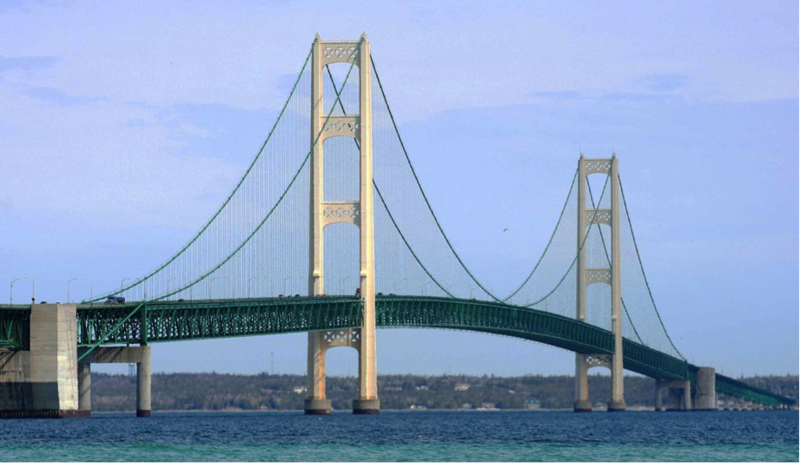 One of areas I have focused in many years that I have been involved in building and taking enterprise software products to market is, bridging the code to customer gap. This really is the main reason for success or failure of products. 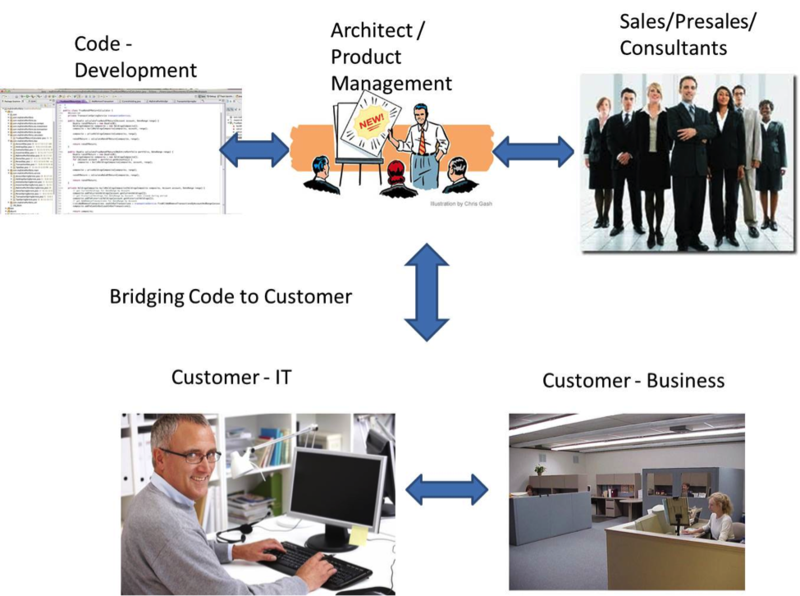 Most enterprise software products have atleast 3-4 layers between the person who codes the software and the business user who uses the product. Here is the illustration of the chain. The biggest advantage for me with cloud is that it really helps in bridging this gap extensively, as the developer can see how the product is being used, they can quickly react and there is a far simpler code to customer connection. 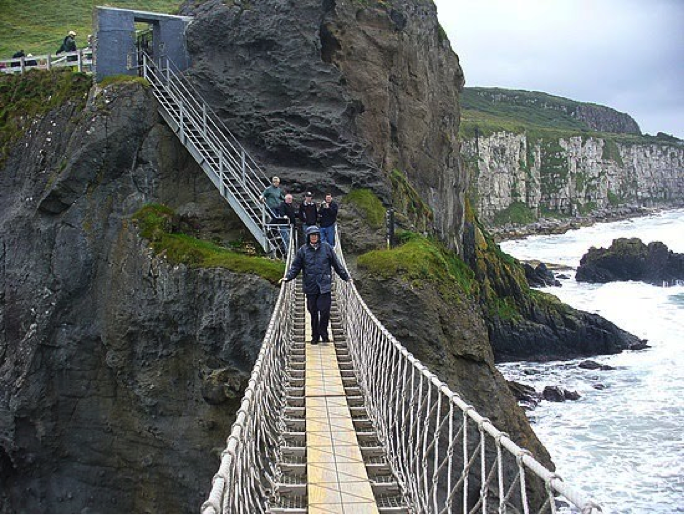 Share your thoughts on this and experiences of any additional challenges you have come across or tips that you have in bridging this code to customer gap…..